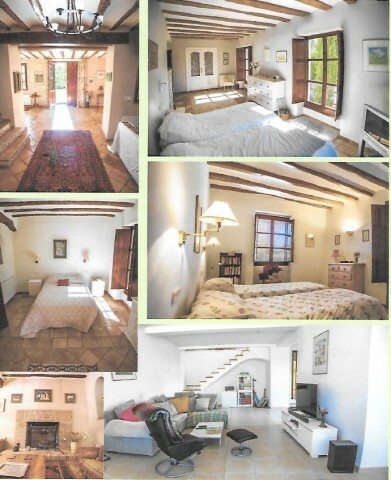 Unique spanish property for sale – Stunning internal features with magnificent views of the countryside…approximately 200 years old, is a large country house surrounded by 26 hectares of almond groves, close to the village of Millena. 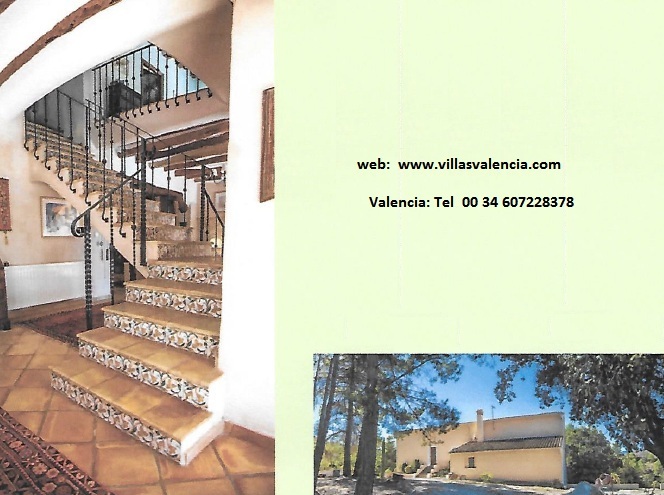 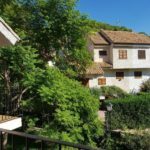 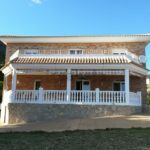 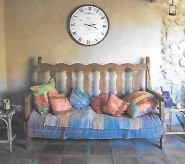 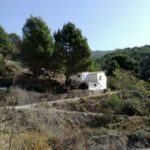 The finca is within 10 Minutes of the ancient town of Concentaina with supermarkets (Carrefout – Mercadona etc..) Banks and Bars. Yje larger town of Alcoy is also very close. 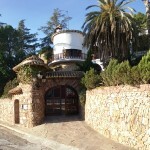 There is easy motorway access to Alicante (50 Min.) 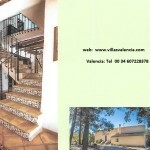 and, of course, Valencia, both with their corresponding airports. 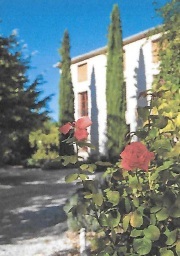 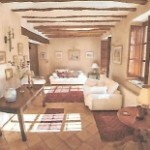 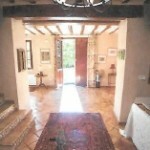 THE HOUOSE: Fully restored, the masia has 750 m2 constructed on 2 floors plus ample loft space. 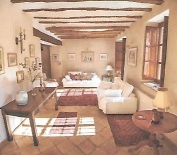 THE GROUND FLOOR: The living area..approx 140 m2 is open plan with summer and winter sitting zones. 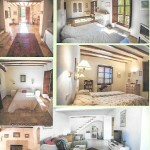 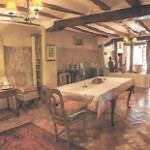 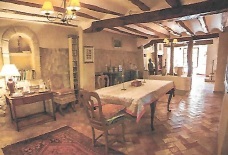 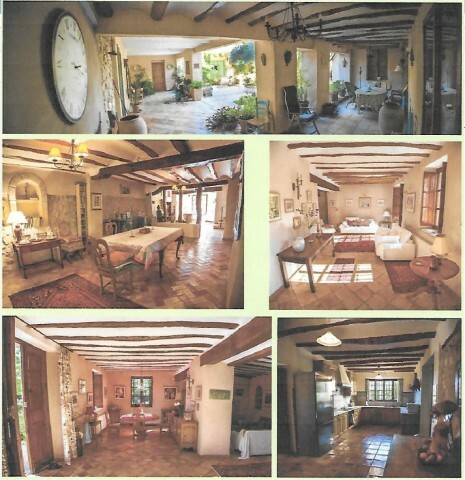 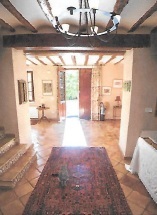 There are terracotta tiles throughout – many original beams and a huge open fireplace. 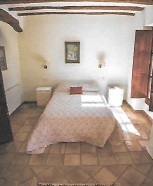 There is a separate laundry room and downstairs bathroom. 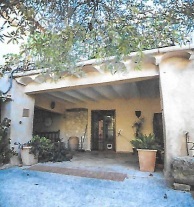 A large internal court yard with both covered and open terracing. 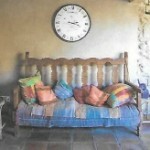 Full oil central heating. 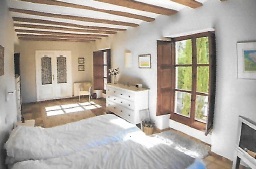 Part air-conditioning – Double glazing. 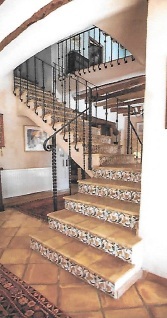 Mains water and electricity – Garage….separate Building housing central heating boiler and storage of garden furniture etc..
An open plan staircase leading to the 1st Floor where there is a beautiful landing area with separate access to the garden. 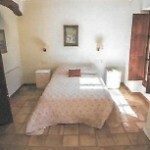 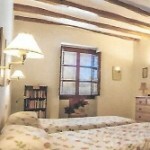 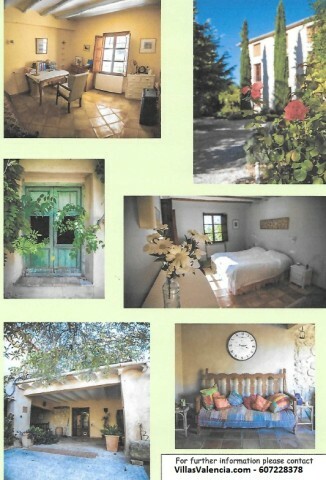 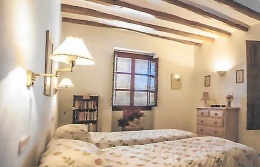 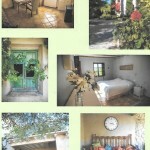 There are 4 large and airy bedrooms, one has its own terrace with views over the country-side. 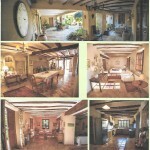 2 large bathrooms. 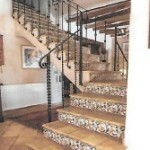 A large light games/media room (approx 60 m2) Stairs leading to the loft area. 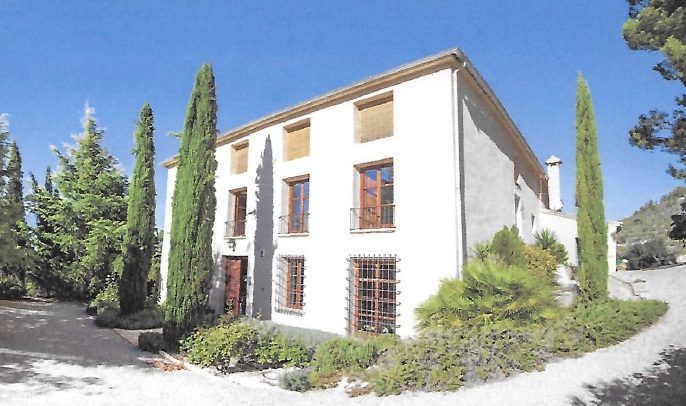 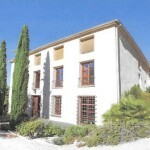 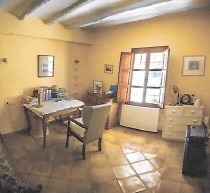 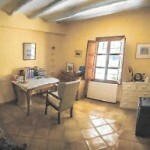 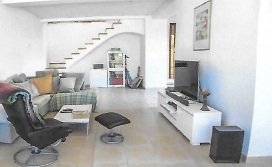 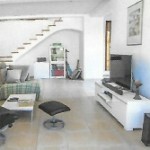 A large loft (approx 170 m2) ideal for conversion. OUTSIDE: The house is surrounded by a large area of flat land. 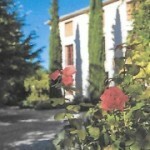 The forecourt is lined eith many shady trees and there is a beautiful, easily maintained walled garden.